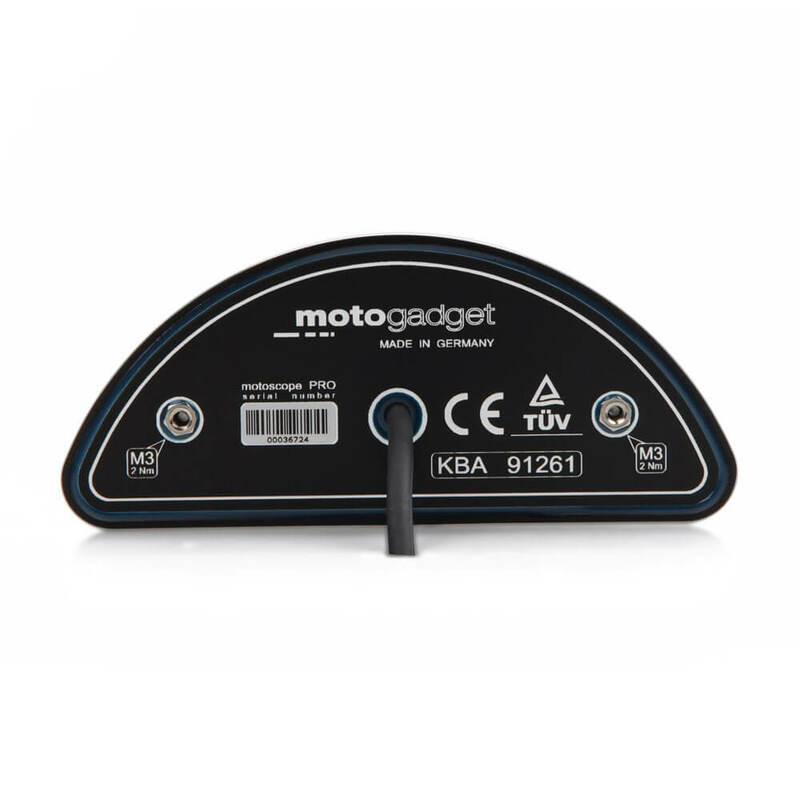 The motoscope pro is the most recent generation of motogadget’s digital dashboard series. Cutting edge technology enables us to create ultra-slim casing designs. 734 LEDs – governed by a 16-bit RISC processor – create an almost rimless, self-illuminating display matrix. It provides optimal readability even under conditions of direct sunlight. Automatic brightness control is a matter of course. Four indicator lights are pre-installed and can be used for far more input signals via the Breakout Boxes. 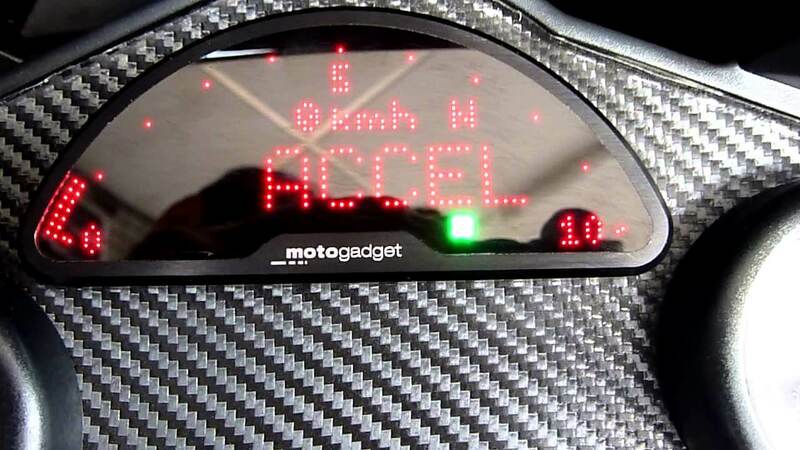 The motoscope pro is equipped with a fully-fledged CAN-bus interface and thus ready for many of tomorrow’s developments like for example the plug ‘n ride Breakout-Box Triumph (please see tab ‘Triumph’ above). 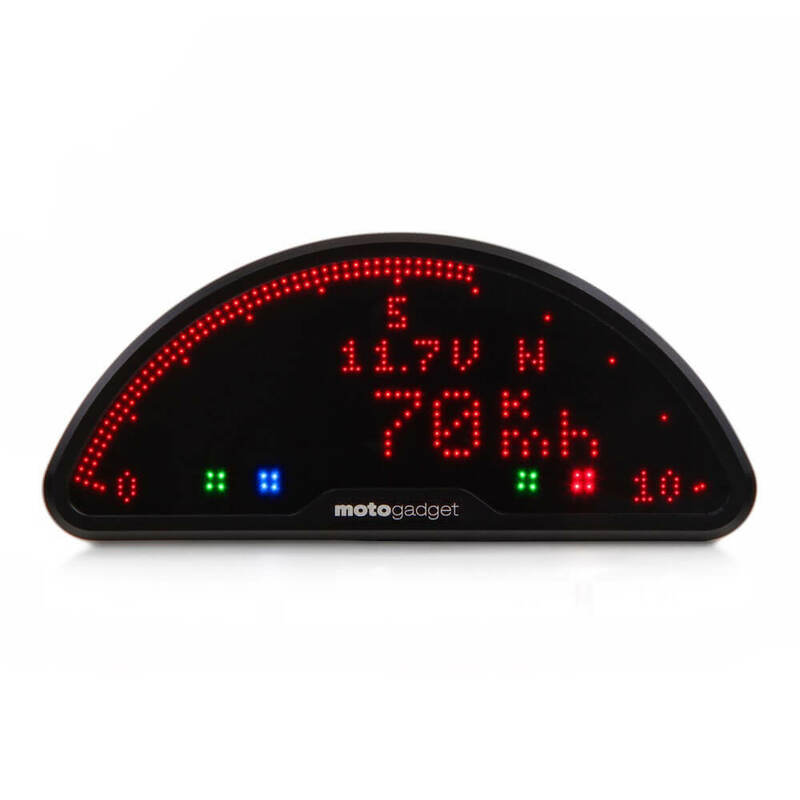 Timekeeping 0 – 100 km/h or 0 – 60 mph 0.00 – 30.59 sec.